New messages: Turns notifications on/off. Timeline update: Turns notifications on/off. 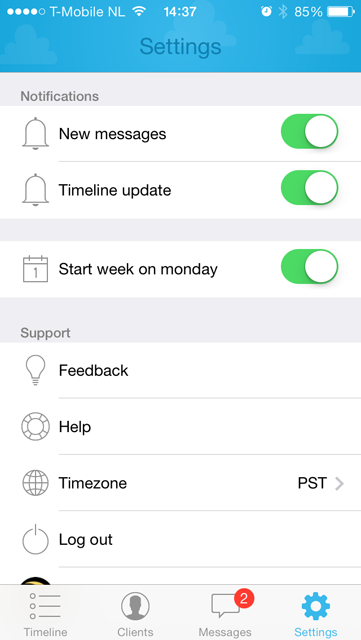 Start week on Monday: If turned off, the weekly schedule automatically starts on Sunday. Feedback: We love getting feedback, so please let us know your thoughts! Timezone: Select your timezone - first by continent then by closest city.